A visit to Szentendre makes a wonderful half-day trip. The town is a pleasant 30-minute drive from Budapest. 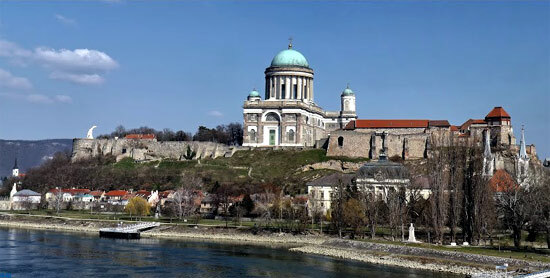 It lies to the north of the capital on the bank of the Danube. With its winding streets, colorful Baroque houses, orthodox churches, art galleries and cafes it has long attracted Hungarians and tourists alike. The town has had a lively artist colony since the 19th century. Highlights of this trip include a visit to some of the churches and a walk in the centre. The outdoor village museum exhibits the buildings, domestic habits and lifestyle of Hungary’s different geographical regions. A superb way to learn about the life of our people in the countryside. Lake Balaton is the most popular summer resort with Hungarians. Visit picturesque Tihany and the Benedictine Abbey on the northern shore and take a walk at the top of the Tihany Peninsula – the best place to view the lake from. Built on five hills, Veszprem, the town of the queens has a long history which goes back to our first king. Take a walk in the Castle Quarter and see the buildings which still bear witness to the olden days. Herend porcelain is one of the world’s most immediately recognizable Hungarian products. Visit the factory’s workshop, see the brand’s largest collection and how the noted porcelain is made.